The Vision Gran Turismo project has provided quite the list of poster-worthy concept vehicles from some of the biggest automakers in the world. The 2015 Volkswagen GTi Supersport looked positively gnarly. The 2015 SRT Tomahawk was sheer and utter madness. And don’t even get me started on the 2015 Chevrolet Chaparral 2X. To this day, I still can’t wrap my head around that thing. Today, though, isn’t the day to reminisce on what’s already been launched. 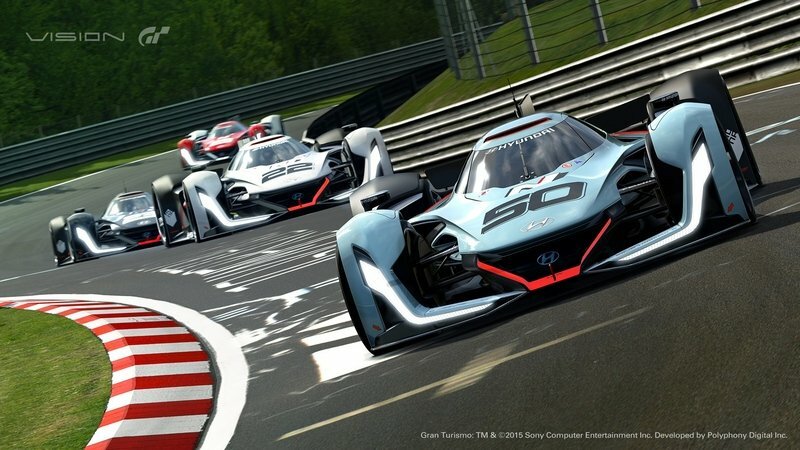 Today is the day all of us welcome another virtual concept to the Vision Gran Turismo roster. It comes by way of Hyundai, and it’s called the N 2025. Like most concept cars developed for the Vision Gran Turismo project, the N 2025 is spectacular to look at. Heck, it’s the kind of car that looks better suited for an introduction at the 24 Hours of Le Mans than an auto show. But what makes the concept that much more important to both Hyundai and car enthusiasts the world over is the "N" in its name. Specifically, the N 2025 is the vehicle that essentially debuts Hyundai’s new "N" performance division, which is set to roll out a full lineup of beefed-up road cars in the future. However, the N 2025 is technically Hyundai’s third N car, following the 2014 Hyundai i20 WRC and 2016 Hyundai i20 WRC rally cars. 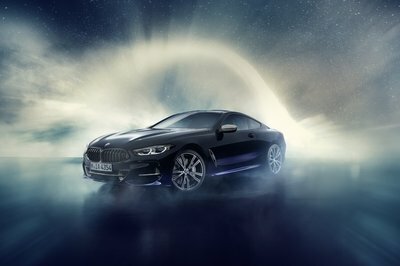 But what’s important here is that the Korean brand created a stunning concept and that some of its styling and technology are likely to find their way into vehicle we might soon be able to purchase at a local dealership. Updated 09/25/2015: Hyundai dropped a first video for its new N 2025 showing the concept car in action in its natural habitat: the Gran Turismo game. Continue reading for my full review of the N 2025 Vision Gran Turismo Concept. Remember the 2015 Mazda LM55, the awesome Vision Gran Turismo car Mazda launched to celebrate the Le Mans-winning 1991 Mazda 787B? 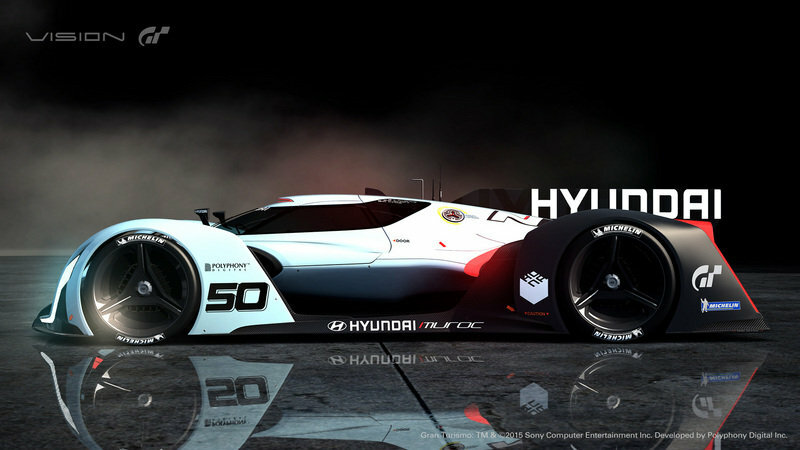 Well, the N 2025 is, in many ways, the modern interpretation of the Le Mans racer Hyundai never built. The massive rear wing seen on today's LMP1 cars is the only thing the N 2025 needs become a Le Mans prototype. And I say "unfortunately" because the NV 2025’s design has everything it needs to become an LMP1 class racer. It has massive wheel arches housing lightweight wheels, a pointy nose with radical aerodynamic features, fender-mounted side mirrors, an aviation-inspired canopy, and a massive fin that extends from the cabin all the way back to the rear fascia. The massive rear wing seen on today’s LMP1 cars is the only thing the N 2025 needs become a Le Mans prototype. Sure, this car might not be able to race on a real track, but it proves that the days when Hyundai used to build slow and boring cars are long gone. The interior is a complete mystery at this point, but if it does take the shape of a Le Mans racer, expect to see the usual equipment found on any LMP1 machine. A steering wheel will probably be in there somewhere, same with a racing seat, a six-point harness, and some switches and LED lights scattered around. But given this is a Gran Turismo concept that will only appear in the racing game, we might never find out. The N 2025 concept gets its juice from a powertrain based on "the world’s first mass-produced fuel cell system," according to Hyundai. For the uninitiated, in 2013, Hyundai launched the 2013 Hyundai Tucson/ix35 FCEV, the world’s first mass-produced hydrogen fuel cell vehicle. 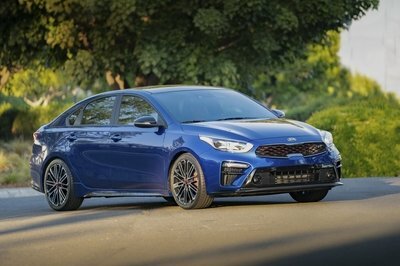 However, the Korean maker doesn’t give any details other than the fact that the N 2025 has 871 horsepower at its disposal, with 670 horses coming from the fuel cell stacks and 201 horses from the super capacitor system. Most likely, this is Hyundai’s way of saying that its current FCEV technology will evolve into something remarkable in the future. Meanwhile, the Tucson’s drivetrain is good for 134 horsepower and 221 pound-feet of torque and a 265-mile range on a single tank of hydrogen. 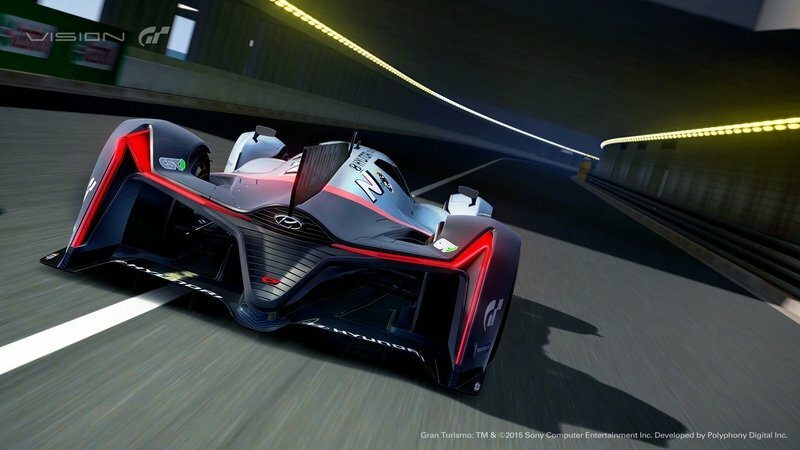 For those concerned that the N 2025 will be too quiet on Gran Turismo’s virtual race tracks, Hyundai says the concept produces a distinct race car roar due to the sounds from the air blower’s turbine, which spins at a mind-blowing 200,000 rpm, the frequency of the fuel cell stacks, the sound from the hydrogen cooling system, and the high-pitched in-wheel motor. I have no idea what that means right now, but I’d rather have the Mazda 787B’s rotary engine scream into my ears while racing from the couch. Check out Mazda’s addition to the Vision GT lineup! Most of the cars created under the Vision Gran Turismo program fall under the science fiction classification. That’s the beauty of this endeavor. Manufacturers can design their cars and not worry about fielding questions about their commercial viability. 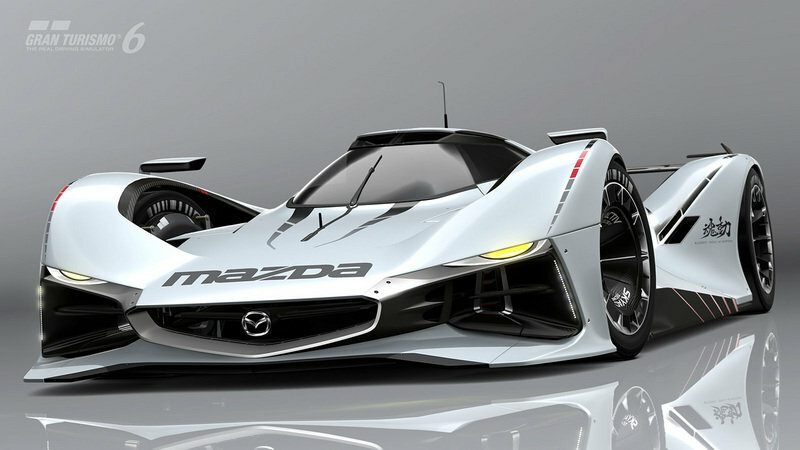 That said, there is one VGT concept that closely resembles the N 2025: the Mazda LM55. On its face, the LM55 already looks just like most of the Vision Gran Turismo concepts. It’s audacious. It’s cutting-edge. It’s well beyond the reach of the modern-day LMP1 race car. But if you look a little closer, you’ll notice that the car also has plenty of styling hints from the 1991 Mazda 787B, the first Japanese car to win the 24 Hours of Le Mans, blended with its current Kodo design language. All that creates a race car that not only pays tribute to Mazda’s racing past, but also touches on its current design ideologies. In other words, the LM55 is a perfect example of a Vision Gran Turismo concept. Hopefully, the Hyundai N 2025 is the same way. Read our review of the 2015 Mazda LM55 Vision Gran Turismo here. Let’s steer away from the “what-if” rhetoric for a minute here and just look at these concepts the way they’re supposed to be. There’s a reason why they belong in the world of Gran Turismo. They’re supposed to be raced with the unadulterated intent of driving them balls-to-wall, with no repercussions to think about. Who cares if they crash into the wall? Just press “restart” and do it over again! From that viewpoint, every car that’s been launched under the Vision Grand Turismo project is a worthy competitor to the N 2025. From the 2013 Mercedes-Benz Vision Gran Turismo Concept to the 2015 Peugeot Vision Gran Turismo Concept, each one of these VGT cars are hell to drive to when you’re gripping that video game controller. 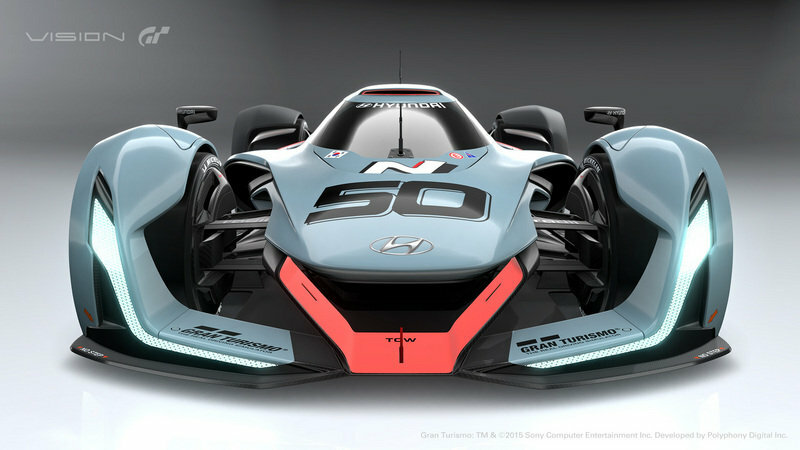 So when the Hyundai N 2025 does become playable in Gran Turismo, be sure to line it up against one of its Vision Gran Turismo contemporaries. That’s what video game racing is all about. 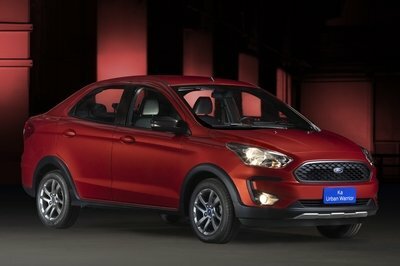 Is Hyundai Planning a Production Version? A production, road-going version of the N 2025 would be ludicrous to say the least, but that’s not likely to happen very soon. However, Albert Biermann, the brand’s head of performance development, told Top Gear that the concept car will be used as inspiration for a future Hyundai-badged supercar. "Yes. When you look at the Vision N 2025 that’s our vision point. At some point the future we will get closer to that, yes. We have to be ready for everything between now and the Vision N 2025. It’s a long road to go there, but we are going," he said. I’ve been lucky to have had a go on a lot of these Vision Gran Turismo concepts. Some were a dream to drive while others where just completely uncontrollable. Obviously, I don’t have a verdict on the Hyundai N 2025 just yet. But as far as its design is concerned, the N 2025 is one of the most spectacular cars released so far for the Vision Gran Turismo project and an impressive effort given it wears a Hyundai badge. Pull the covers a little more, Hyundai? Please? 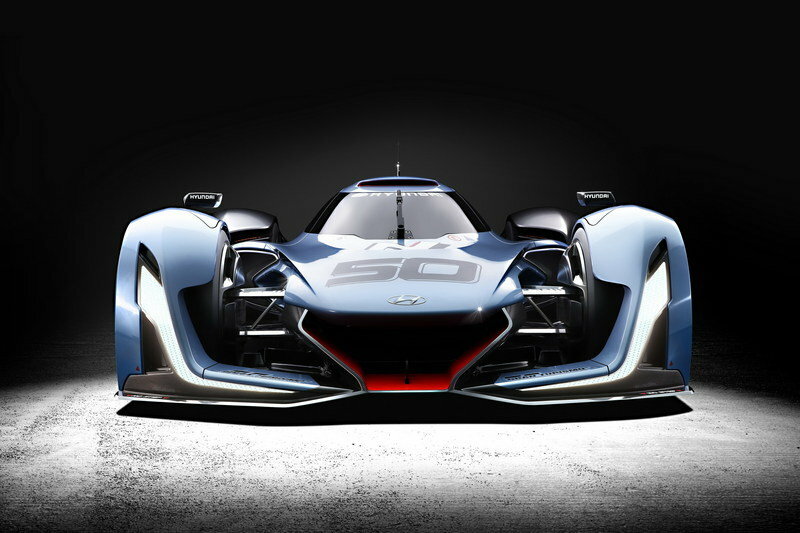 Updated 09/15/2015: The new Hyundai N 2025 Vision Gran Turismo made its world debut at the 2015 Frankfurt Motor Show. At the 2015 Frankfurt Motor Show, Hyundai also introduces the ultimate concept car to show the global audience the brand’s unique perspective on future performance characteristics. The ‘Hyundai N 2025 Vision Gran Turismo’ concept, inspired by N, will be coming exclusively to PlayStation®’s Gran Turismo video game series. 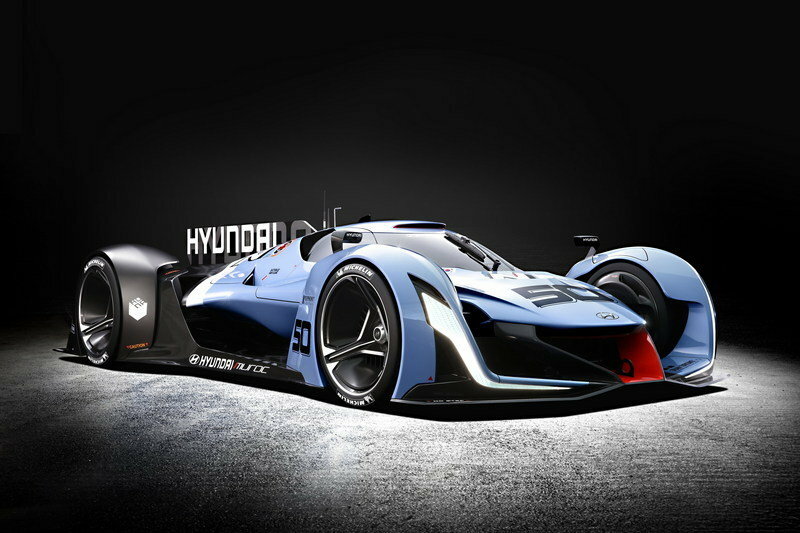 The Hyundai N 2025 Vision Gran Turismo powertrain is based on the world’s first mass-produced hydrogen fuel cell system. 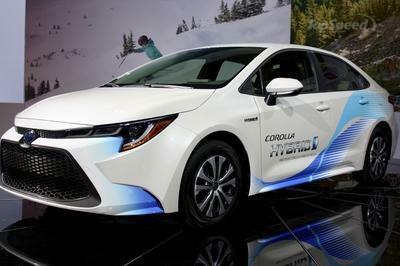 The total system output is 650 kW (871 HP), with the dual fuel cell stacks providing 500 kW (670 HP), and the super capacitor system generating an additional 150 kW (201 HP) by using energy regeneration when braking. This remarkable power is delivered through four high-powered independent in-wheel motors, which provide uncompromised traction. 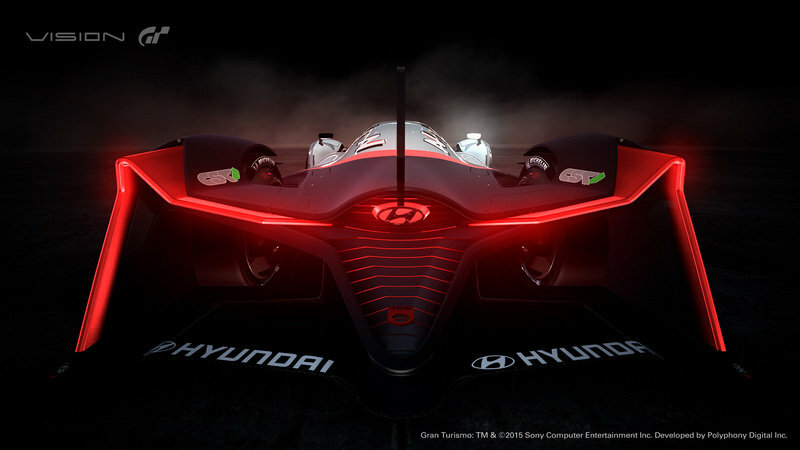 Although the Hyundai N 2025 Vision Gran Turismo is based on eco-performance technology, the noise from its powertrain will tell a different story. The sounds from the air blower’s turbine that spins at 200,000rpm, the frequency of the fuel cell stacks, the sound from the hydrogen cooling system and the high-pitched in-wheel motor combine to produce a distinct race car roar. 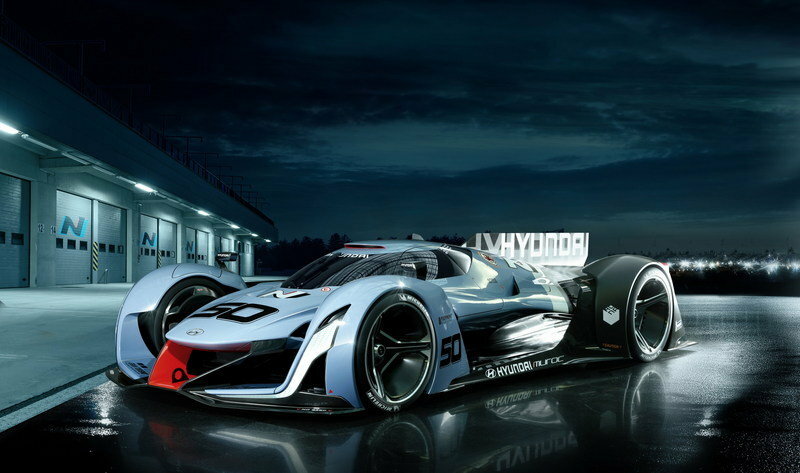 The Hyundai N 2025 Vision Gran Turismo concept draws inspiration aeronautics and speed. Itlooks like a jet fighter on wheels that blurs the line between air and asphalt. Hyundai Motor designed this car to appear like it is floating.